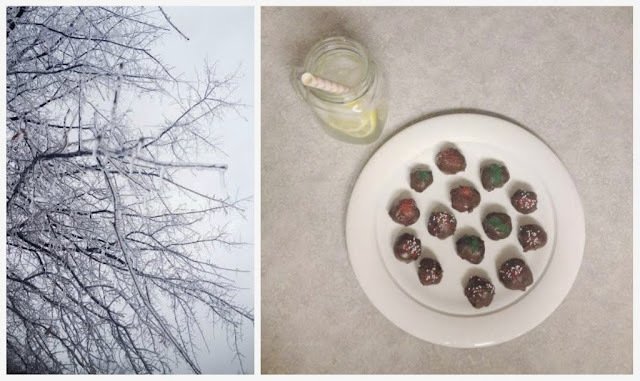 It all started Sunday evening when I decided to try out Katie's no-bake oreo balls (yum!!) and have been itching to do more cooking/baking ever since. 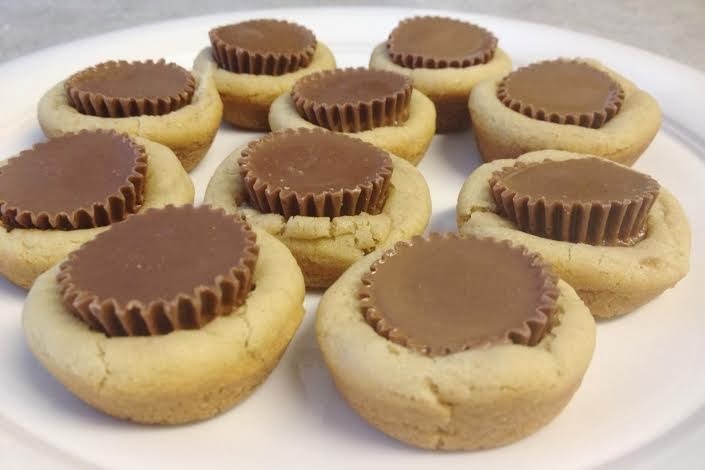 It could've been all the extra time I had on my hands today and Monday thanks to this icy winter wonderland, but all of a sudden so many other recipes were floating through my head. 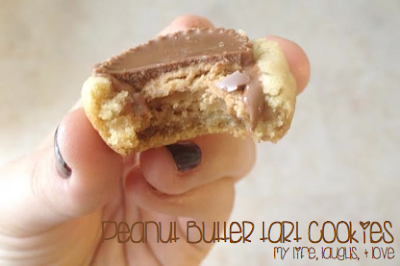 Directions: Beat together ingredients a-d. Separately, beat together e + f. Add the mixture to your original and beat the two together. 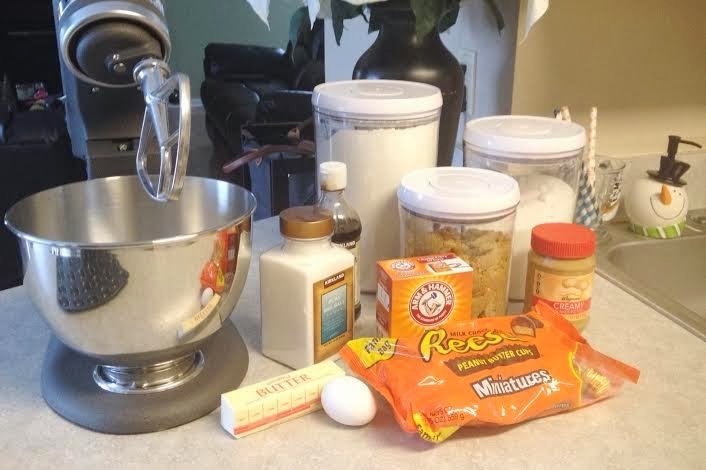 Lastly, add the remaining ingredients (sans pb cups) slowly until blended. Scoop 1/2 tbsp. 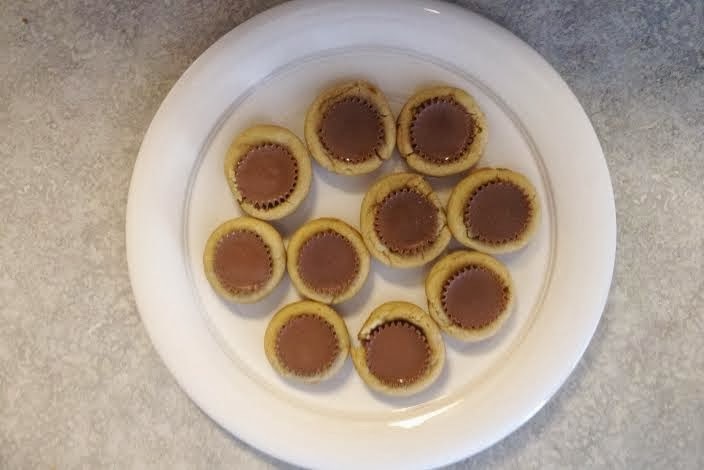 full of cookie dough into greesed mini muffin tin. Bake at 350 degrees for 8-10 minutes. 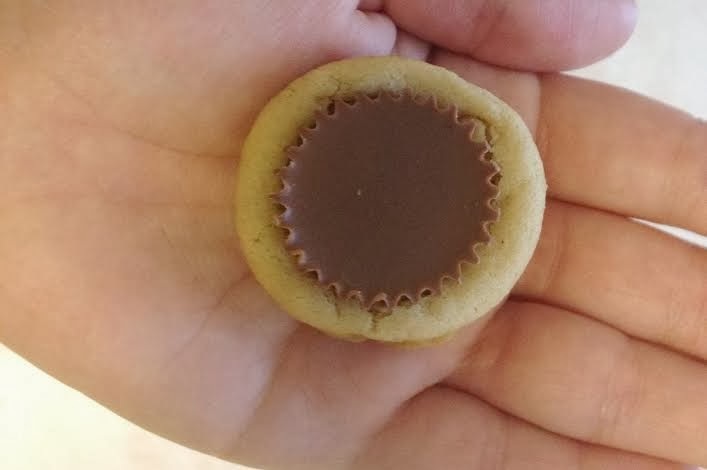 Let cool for a minute then press peanut butter cups into hot cookies. happy snow day! t-8 days of school until winter break!